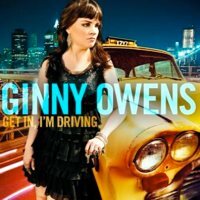 Ginny Owens: An Inside Look at "Before You Fly"
Ginny Owens‘ leading single Before You Fly, from her upcoming album, Get In I’m Driving, has just been released and I’m privileged to have produced it along with Ginny and Monroe Jones. 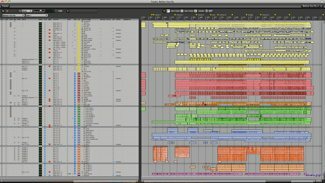 This album has been a massive project that took almost two years to complete. More than twenty songs for the project were recorded, many of them re-recorded and going through multiple incarnations until we got the results we were after. 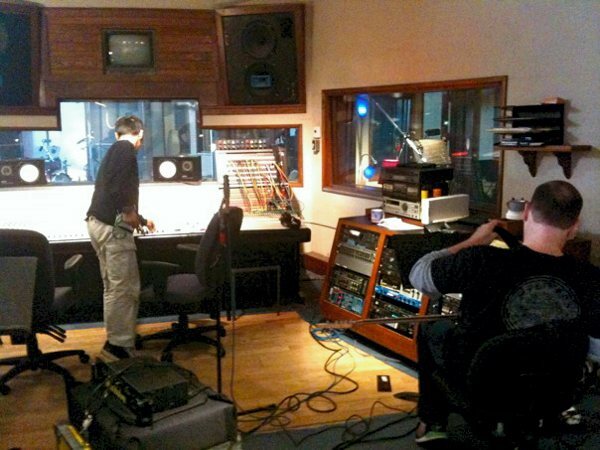 The album is scheduled for a September 13, 2011 release, and I’ll be sharing some behind-the-scenes material to give you insight into how this record came together. Here’s some details about the colorful journey we went on with Before You Fly. Download the full version at iTunes or Amazon. My progress on the lyric ended there, as finding words of comfort and encouragement to share with those who have experienced extreme loss is nearly impossible. In the same season, I was grappling with my own inner hurricane. I often wondered if I’d actually make it through the tumultuous time, and if I did, would I have words of hope to offer on the other side? The answers didn’t come quickly…the song took five years to finish, because there were more disasters—both internal and external—that had to be faced before I had any words of hope to offer. As time passes, I understand that wisdom comes only from placing one foot in front of the other, moment after moment, day after day, seeking the face of God. I fall; I fly; and as God’s truth grows bigger in my life, the highs and lows of the journey take on deeper meaning. Life is full of joys and tragedies, and holding on tightly to the hand of our Heavenly Father is the only way to get through. If any wisdom came from my hurricane, this was it. 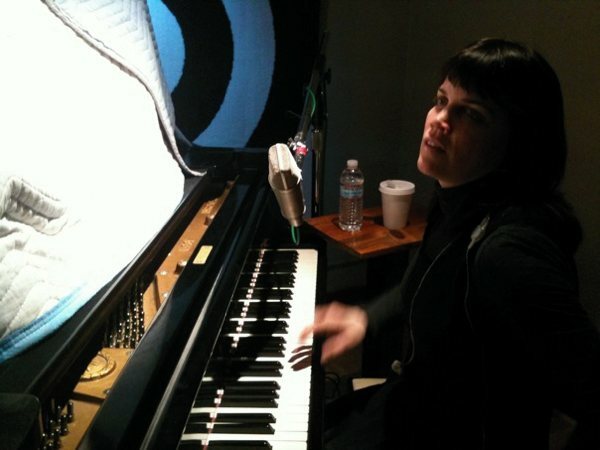 The original live session for this song took place at Stagg Street Studio in Van Nuys, CA. Steve Hass played drums, Dan Lutz played bass, Paul Jackson Jr. played guitar, and Ginny herself played piano and sang. It was our intention to capture more of a live feel, so we prepared chord charts for the band, and began the session by letting Ginny play the song barebones at the piano to give us all an idea of its feel, and then as a team we started brainstorming how to orchestrate it, and we played through it several times together until it began to gel and feel like a song. Our goal for the live session was to capture drums, bass, guitar, and piano, with the full knowledge that we might add other elements later, including the final vocal, background vocals, and possibly other keyboards or guitars. I have to take a moment to compliment the incredible musicians. New York drummer Steve Hass (Manhattan Transfer, John Scofield, Art Garfunkel) brought an attitude to this song that strongly influenced its final direction. Bassist Dan Lutz (Jonathan Butler, Taylor Hicks), as well as being one of the most creative bass players I’ve ever worked with, is an endless fount of unique ideas to inject in a live band setting, not just for his own parts but for each musician. And veteran session guitarist Paul Jackson Jr. needs no introduction; he’s been in the business for decades, having played on everything from Michael Jackson’s Thriller to records by Whitney Houston, Chicago, Elton John, Marcus Miller, and more. His legendary experience enables him to listen to a piano-vocal demo and instantly select parts and tones that fit the song like a glove. It was a privilege working with each of them. Because of the spirit of the song, it was tremendous fun to work on afterwards. 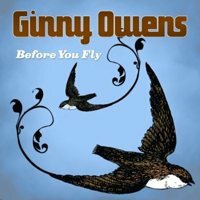 For the next eighteen months, alongside more than two dozen other songs that were recorded for the project, we experimented with numerous different approaches for Before You Fly. With Ginny in Nashville and me in Los Angeles, we bounced MP3’s of ideas back and forth constantly. Here’s one of my favorites, featuring some Beach Boys-style background vocals, real and granny piano, harpsichord, Mellotron, extra synth, and more. I hope you enjoyed the behind-the-scenes tour of how this song came together over the course of eighteen (!) months. That’s not typical, but it was a really fun journey to solve the puzzle of this song. Download the single at iTunes or Amazon, and look out for the full album which is scheduled for release on September 13, 2011.